Dr. Michelle Major is a Bahamian, who is licensed and nationally certified as a school psychologist. Dr. Major serves as the Clinical Director of the Caribbean Center for Child Development in the Bahamas. She has over 18 years experience working with children with disabilities in both the private and public sectors and has had extensive experience in the administration of developmental and neuropsychological assessments. Dr. Major specializes in the assessment and diagnosis of, as well as intervention for, children with autism and low-incidence disabilities. She began her career in this field as an inclusion teacher and a verbal behavior therapist (ABA) for children with autism. She later conducted research in the field of disabilities and education. She worked for Child Provider Specialists at the Dan Marino Center, Miami Children's Hospital in Weston Florida. Dr. Major served as the Autism Task Force Leader for the executive board of the Florida Association of School Psychologists in 2008. Dr. Major serves on the Florida Association of School Psychologists executive board for the year 2010/2011, representing low-incidence disabilities for the state of Florida. Prior to her move to the Bahamas in 2008, Dr. Major served as an Assistant Professor of Psychology at Barry University in Miami Shores, Florida; where she spent five years training school psychology graduate students in child and adolescent development, counseling, learning theory, academic and behavioral interventions, consultation, and assessment. She also taught at the undergraduate level, introduction into psychology, psychology of women and the psychology of the family. Her years as a school psychologist in Palm Beach County and Miami-Dade County school systems have provided her extensive experience in psycho-educational evaluations, behavior modification, teacher and parent consultations and crisis intervention. Furthermore, she has served as part of the design, implementation, and evaluation of prevention/intervention initiatives (i.e., Safe Schools Healthy Students and the Hepatitis, HIV, and Substance Abuse Grant Initiatives) in the Miami-Dade County School District. She has presented at local, regional, and national conferences on topics such: the effectiveness of interventions for children with autism, applied behavioral analysis, parental stress related to having a child with a disability and attribution theory. She is an international expert and has presented and trained professionals in Bangladesh, Jordan and the US Emirates. 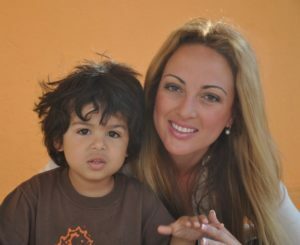 Since she began working with children with special needs over 18 years ago, Dr. Major has worked with thousands of children, adolescents, adults and families in a variety of settings ranging from a community hospital-affiliated clinic to public schools, non-public schools, day treatment programs and a large group practice. Over the years, she has fostered collaborative working relationships with a broad range of professionals (i.e., allied health professionals such as occupation/speech-language/physical therapists; psychiatrists; neurologists; pediatricians; educators; various public and non-public/private agencies; attorneys and myriad community agencies) both locally and internationally. After years of service in the USA public school system and the development of two non-profit organizations, she is pleased to offer her services to the broader community through her private practice. For those who suspect something is “off” and are wondering what to do next or those who are seeking a second opinion, Dr. Major brings her highly trained and expertly honed diagnostic services to those who desire a comprehensive evaluation in order to get at the heart of the issue(s). Or, for those who have already obtained a “diagnosis” and now need an experienced and compassionate, yet forthright, knowledgeable guide to help them navigate next steps, Dr. Major will ensure you have a full and complete understanding of the issues, including strengths and weaknesses, and that you are informed regarding your treatment options. And, when appropriate, she will put her knowledge of the law to work to ensure you have access to necessary interventions, services, and supports to help you achieve your greatest potential. Finally, for those who desire concrete, practical feedback and recommendations that get results, Dr. Major can help you get beyond the obstacles that stand between you and your goals. In addition to providing direct 1:1 client services, her interests also extend to research, volunteering, and community outreach services. In an effort to give back to the community, she has set aside time in her practice to serve the most needy on a sliding scale--based on an individual, case-by-case basis. Outside the office Dr. Major stays connected with the community by supporting and volunteering for organizations such as Autism Speaks, Florida Association of School Psychologists and YAI Network. She founded the Seahorse Institute, a Bahamian non-profit organization that serves children with Autism and Developmental Disabilities and Seahorse Children’s Foundation, A United States of America non-profit organization that serves children globally with special needs. Granting Agency: United States Department of Education, Department of Health and Human Services, and the Department of Justice. Granting Agency: Substance Abuse and Mental Health Services Administration, Department of Health and Human Services, and the Center for Substance Abuse Prevention. Major, M. (2013, September). Working with Children with Special Needs. Atlantis, Bahamas. Major, M. (2011, October). Grief in children. Paper presented at the Psychiatric Institute of Washington, Washington, D.C.
Major. M. (2011, August). Early identification and prevention. Doctor's Hospital, Nassau, Bahamas. Major. M. (2011, July). Assessment and educational planning for children on the Autism Spectrum. Presented at the International Seminar on Autism Spectrum Disorders and Developmental Disabilities in Bangladesh and South Asia, Dhaka, Bangladesh. Major. M. (2011, July). Implementation, progress monitoring and the importance of differentiated instructional strategies using applied behavior analysis and verbal behavior in the classroom setting. 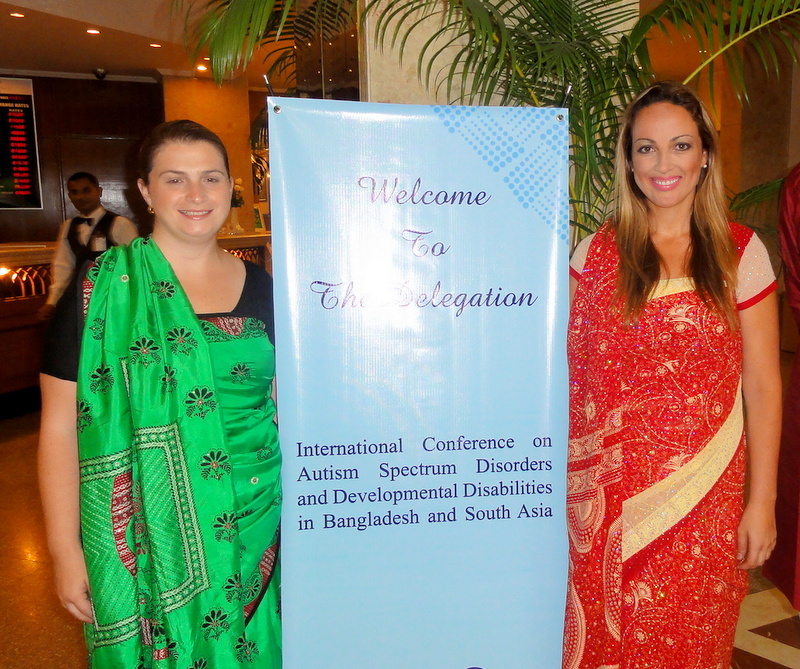 Presented at the International Seminar on Autism Spectrum Disorders and Developmental Disabilities in Bangladesh and South Asia, Dhaka, Bangladesh. Major. M. (2010) Children and ADHD. University of West Indies, Nassau, Bahamas. Major. M. (2009) Children and Autism. University of West Indies. Nassau, Bahamas. Wated, G., Major-Sanabria, M., Lemos, M., & Kierce, E. (2008, March). Teachers' self-efficacy as a moderator of the relationship between work-stressors and organizational outcomes. Paper presented at the 7th International Conference on Occupational Stress and Health, Washington, D.C.
Williams, M., Wated, G., Major-Sanabria, M. (2007). The Role of Conscientiousness, Extraversion, and Goal Setting in Real Estate Agent's Sales Performance: A Test of Mediating and Moderating Effects. Poster presented at the Industrial Organizational/ Organizational Behavior Conference, Indianapolis. Wated, G., Major-Sanabria., & Kierce, E., (2007). Teachers self-efficacy as a predictor of job satisfaction and organizational commitment. Paper presented at the 71st Annual Meeting of the Florida Academy of Sciences, St. Petersburg, FL. Major-Sanabria, M. (March, 2007). Efficacy of Interventions Provided for Children with Autism. Presented at the National Association of School Psychologists, New York, NY. Major-Sanabria, M., & Szuchman, L.T. (2006, August). Mothers of children with autism: Emotions and life satisfaction. Paper presented at the Annual Convention of the American Psychological Association, New Orleans, LA. Major-Sanabria, M., & Lineman, J. (2006, May). Maternal Emotional Reactions to the Behaviors of Their Child with Autism. Poster presented at the American Association of Psychological Science, New York, NY. Major-Sanabria, M. (2006, March). Mothers’ Stress: Impact of Educational Programming for Children with Autism. Poster presented at the National Association of School Psychologists, Anaheim, California. Major-Sanabria, M., & Lineman, J. (2006, March). Marital Implications for Having a Child with Autism. Poster presented at the 70th Annual Meeting of the Florida Academy of Sciences, Melbourne, FL. Major-Sanabria, M. (2006, January). Perception of Maternal Burden Related to Having a Child with Autism. Paper presented at the 2nd annual conference of Phi Delta Kappa, Miami, Florida. Major, M.C., Szuchman, L. E., & Muscarella, F. (2002). Mothers’ stress, attributions, emotions, and reactions to the problem behaviors of their children with autism. Presented at the 48th annual conference of the Southeastern Psychological Association, Orlando, Florida,. Major, M. C., & Szuchman, L. E. (March, 1998). Gender differences in components of test anxiety: Implications for test performance. Presented at the 44th annual conference of the Southeastern Psychological Association, Mobile, Alabama. Rush, C., Major-Sanabria, M., Corcoran, S. (2007). Using the ABAS-II with Adolescents and Young Adults. Adaptive Behavior Assessment System-II, Chapter 16, Elsevier: New York. Major, M., & Wolman, C. (in review). The perceptions of mothers of children with autistic disorders about the efficiency of the child’s behavioral intervention, considering the difficulty of the child’s condition and attribution of responsibility. Journal of Intellectual Disabilities Research. Major, M.(in preparation). Mothers’ stress, attributions, emotions, and reactions to the problem behaviors of their children with autism. Major, M., & Wolman, C. (in progress). Cognitive processing in children with asperger syndrome. Major, M., Wated, G. (in progress). Fathers of children with autism: Job satisfaction, attribution and parental burden. Major, M., & Muscarella, F. (in progress). Sexual practices of school aged children: Implications for school psychologists. Saint-Eloi Cadely, H., Ferrer-Wreder, L., Major-Sanabria, M, Small. M, Domitrovich, C.E. & Caldwell, L. (2007). Results of an Effectiveness Trial: Life Skills Training and Time Wise. Poster presented at the Society for the Study of Human Development, Pennsylvania. Lineman, J., & Major-Sanabria, M. (2006). A literature review of bully intervention programs. Poster accepted to be presented at the 70th Annual Meeting of the Florida Academy of Sciences, Melbourne, FL.